The last Senior Arctic Officials' meeting of the Finnish Chairmanship (2017-2019) was held in Ruka, Finland. 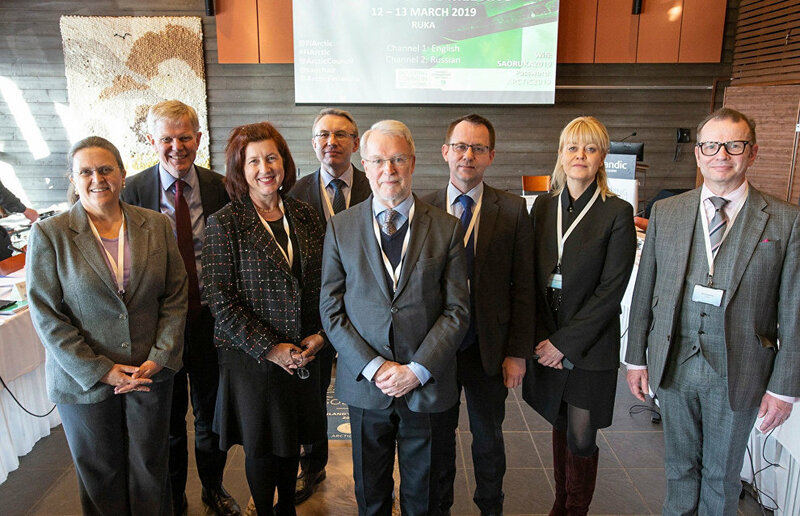 The participants reviewed the council's performance over the past two years and approved materials that will be forwarded to the council's Ministerial Meeting in Rovaniemi scheduled for May 6-7, 2019, when Iceland will take over the council's chairmanship, the Roscongress press service reported. "The Arctic countries are working together. Practice shows that this work is having a positive effect in the Arctic as a whole. Russia was actively involved in the most effective of the numerous international projects that have been implemented over the past two years. This international team work will continue at The Arctic: Territory of Dialogue 5th International Arctic Forum," Russian Presidential Adviser Anton Kobyakov said when commenting on the work of the Arctic Council. The senior officials have largely coordinated a strategic plan of the Arctic Council, which will consolidate the long-term priorities and key areas of the organization's development. Several documents have been approved for presentation at the upcoming Ministerial Meeting in May, stipulating collective efforts to address pressing themes for the Arctic region, such as the reduction of black soot and methane emissions. The officials also reviewed the work of the Project Support Instrument, the council's financial mechanism set up to promote the implementation of practical actions towards the sustainable development of the Arctic. These include projects on utilization of solid domestic waste, the reduction and complete abandonment of associated petroleum gas (APG) flaring, as well as "green shipping."